ELDERLY residents of the community are encouraged to come and socialise during an upcoming seniors' day. Organised by Jeanene Chapman, the afternoon event is held at the Anglican Hall and will feature performances from local outfit the Graniteers, as well as a special show from some of the area's Vanuatuan and Samoan backpackers. "We try to do this every few months to get people out of their homes and encourage them to come have a sing-along,” Jeanene said. 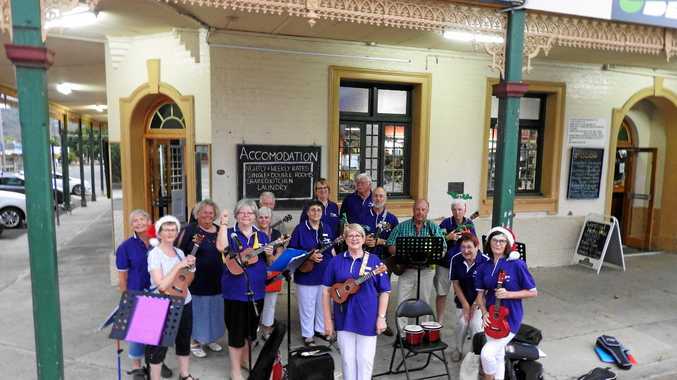 "We'll have the local ukulele band, the Graniteers, leading singing as well as the backpackers. "The Anglican ladies will put on an afternoon tea. "All we ever ask for is a gold coin donation and you can come along, have a sing and have a chat. "If people don't have somebody to bring them we try to arrange transport so people are not sitting bored stiff in a house all by themselves,” she said. Their January event was postponed due to heat concerns. Where: Anglican Hall, Corundum St.